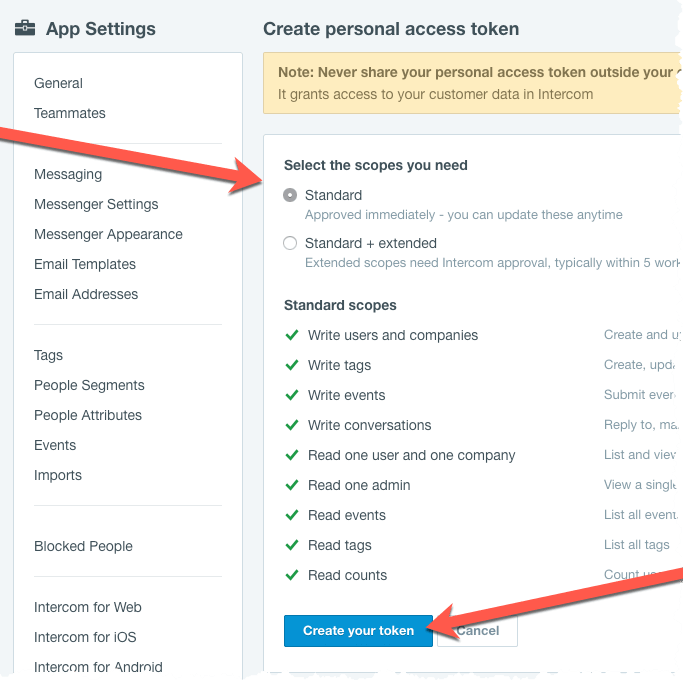 This article explains how to create a Personal Access Token in your Intercom account. 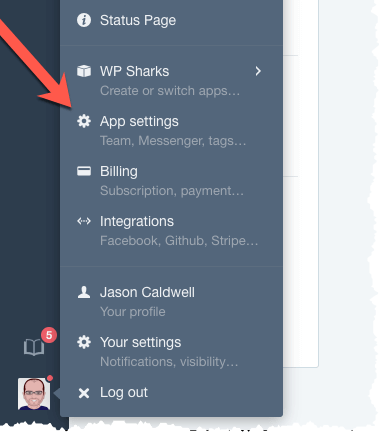 See also: this article at Intercom. Choose 'App Settings' from the main menu. 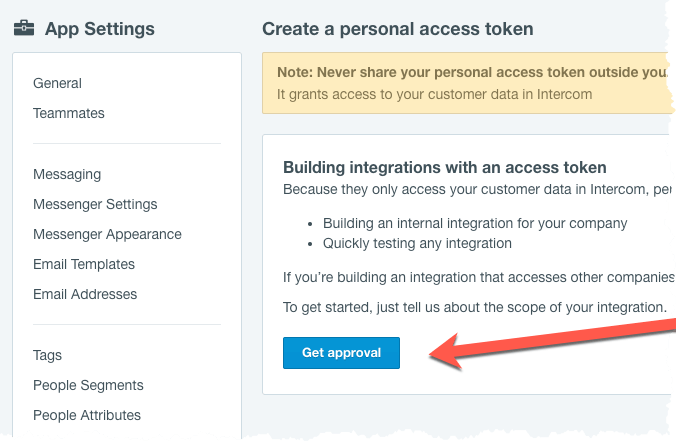 Click this button to begin the instant approval process. Choose the 'Standard' option when generating a Personal Access Token. Finally, copy your Personal Access Token. 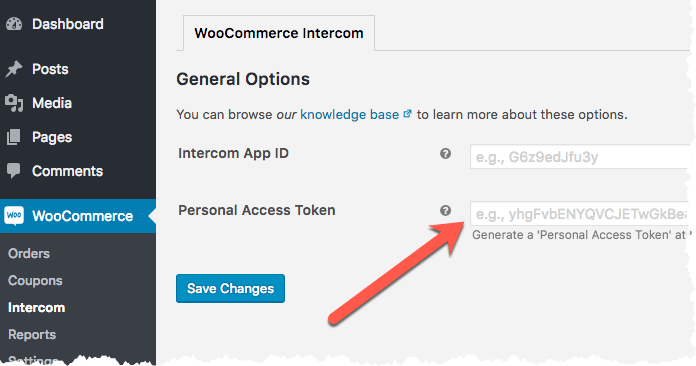 ... and give it to WooCommerce Intercom Pro in WordPress.